Invoice format number determines what your invoice number looks like. Customize the format number for your invoices in settings. When creating an invoice, you need to put down a unique invoice number. This is by default an auto-generated number that starts from number 1, but it can also be a number you put down yourself from your accounting software. It can also be customized to your own needs. 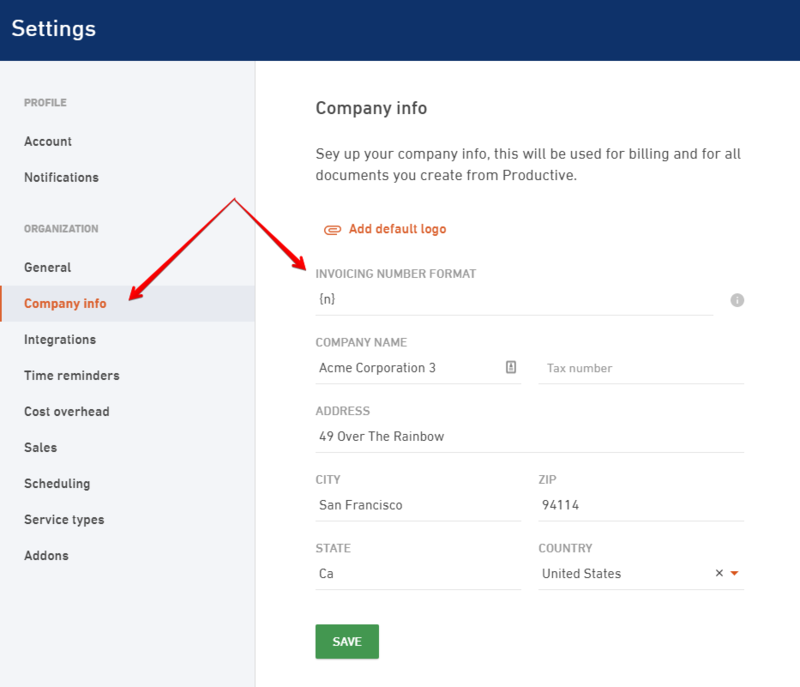 If you want to set up a custom invoice number format you can do that by going to Settings > Company info in your Productive account.